NEW! Classic little car from the sixties makes an interesting house for your feathered friends! 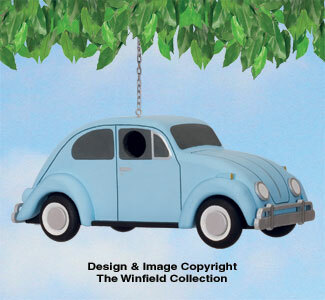 Give your "beetle" birdhouse a standard paint job as shown or add large gaudy flowers to create your very own "hippy" mobile. This project contains many of the realistic features of the real thing including front and rear tires, headlights and taillights along with front and rear bumpers. Bottom removes for easy cleaning. 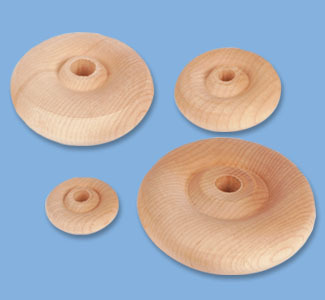 Quality turned & sanded wood wheels from 3/4" to 2-1/2" diameter. Save 11-23% when you buy 20 or more!